It’s cold outside, and I’m always looking for an excuse to light the oven to put a little extra heat into the house, but have I ever mentioned I hate cooking? My Cowboy wanted cookies, but I’m out of brown sugar, so I couldn’t make his favorite Chocolate Chip cookies, so I asked him if he’d settle for these since they don’t require brown sugar. He said yes, and he even helped me mix up the dough. Mix butter, shortening, sugar, and eggs. Blend dry ingredients in, and shape into balls. Mix 2 teaspoons cinnamon and 2 tablespoons sugar together and rolls the balls in the mixture. Place 2″ apart on an ungreased cookie sheet. Sometimes I substitute butter for the shortening and use all butter, which works just as well. If I use salted butter, then I sometimes leave out the salt. If you chill the dough briefly before rolling it into balls, that sometimes works better, too. Sometimes I’m in a hurry, and don’t bother with that part! Also, these are always better if your grandmother makes them for you! Since it’s just me and My Cowboy here at home, I bake half the dough, then refrigerate the other half, and bake them later, because it’s always better to have fresh cookies warm out of the oven, right? I love winter because I can bake for just the reason you give – turning on the over. Thanks for the recipe. 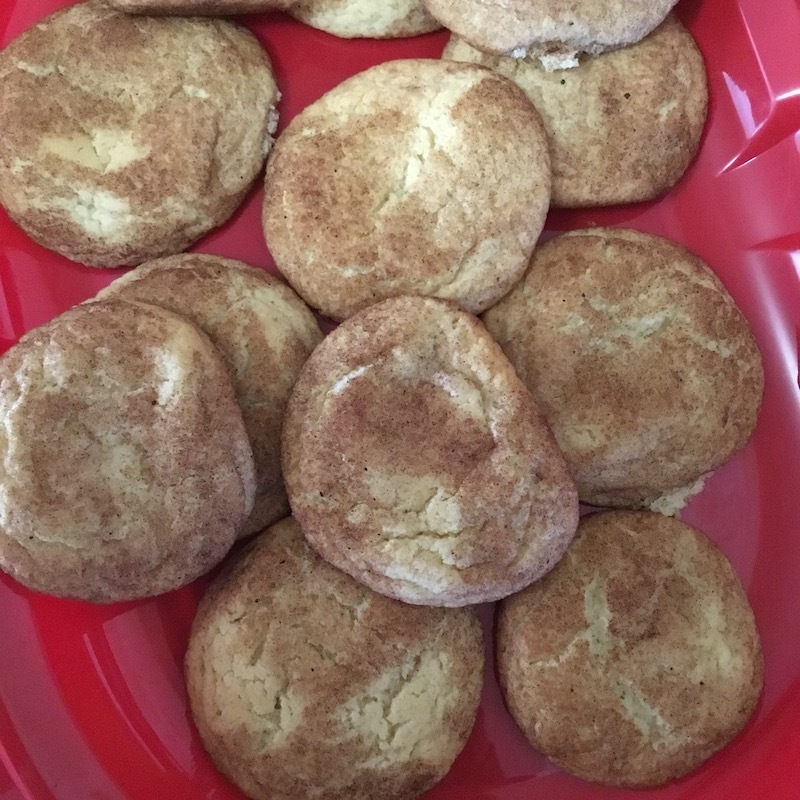 I love snickerdoodles–might have to make some today!! Thanks for sharing your recipe. I love snickerdoodles. I will teach Kenzie how to make those next week. She loves to make cookies with Grammie.